The Purple Flag is generally awarded to areas that are recognised as providing vibrancy and a diverse mix of entertainment, dining and culture, while also promoting safety, cleanliness and the wellbeing of residents and visitors. Jim Roddy, City Centre Manager, CCI – who co-ordinate the Purple Flag Assessment said he was delighted to receive the news on Friday. He added, “This is testament to the working partnerships that exist behind the scenes within the city. Our partners are dedicated to ensuring we meet the standards required to attain Purple Flag status. 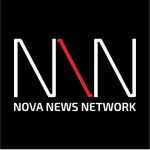 “This is an important benchmarking process and economy driver for our city and one that we have been committed to retaining. To get news that we’ve been awarded the status yet again is just fantastic news for us all. It is a promotional tool for attracting business, investment and visitors to our city centre and we should be proud of that and use it to remind the world that we are a city worth visiting. Sarah Walker Purple Flag Programme Manager at the ATCM said: “There are now over 70 towns and cities across the UK and Ireland who are proudly flying the Purple Flag after working hard to gain accreditation. The award is not just about safety, but also the vibrancy and diversity of the evening and night-time offer — this can only be achieved by people working together in a strong partnership to which we are seeing great examples of across the country”. Mayor of Derry City and Strabane District Council, Councillor Maolíosa McHugh added: “I would like to warmly congratulate all the stakeholders in the city centre support team who work so hard along with local businesses to ensure Derry meets the high standards required to achieve the Purple Flag accreditation. “There has been a marked increase in the evening footfall in the city centre in recent years because local people and visitors alike know we can offer a safe and enjoyable night out with a diverse variety of entertainment options. 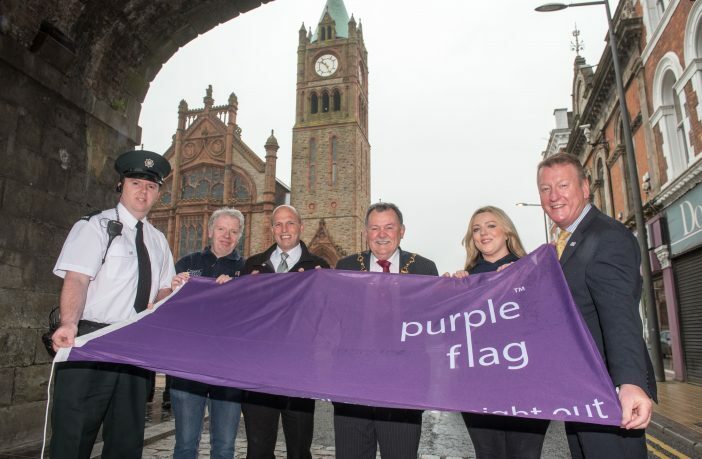 For further details on Derry~Londonderry Purple Flag status, which is supported by Department for Communities, visit here.